The next step in understanding the publishing process is to realize and accept that Times Have Changed! I self-published my first novel, Carly’s Calling in 2003 with 1st Books Library after several months of rejections from hundreds of agents and publishers. I was a working mother with four children, three grandchildren, and living in a small town in the Midwest. My name certainly didn’t create a buzz when it arrived on an agent’s desk. I learned quickly that the publishing world wasn’t going to be easy, but I have always liked a challenge! I began researching self-publishers and was surprised to find many authors were experiencing great success on their own…some even hitting the New York Times Best Seller List. 1st Books Library (now known as AuthorHouse) was one of the leading self-publishers at the time. Their staff was friendly, professional and easy to work with and within 4-5 months and a few thousand dollars later, I had a finished book in my hands. Receiving my first order of books was such an incredible feeling. I really did it! I loved the cover I created with an artist who I knew personally and worked with. Holding the book in my hands has definitely been one of my greatest accomplishments. I was proud of myself for following through even in the midst of all the rejection. The real work was only just beginning! I began contacting local newspapers and radio stations requesting interviews. I sent letters to bookstores requesting book signings. Some were hits and some were misses. I landed my first book signing at the new Barnes and Noble store in Council Bluffs, Iowa. It was a huge success! Barnes and Noble and the local newspaper advertised sufficiently and hundreds of people showed up. Many people waited in line for quite some time just to purchase a signed book. As I watched the line get bigger, I thought to myself, they’re here for me? It was and will always be a great memory. I met many wonderful people at book signings and made some great friends along the way. Unless you’re Nicholas Sparks, the chances of bringing in a large crowd of people for book signings is slim at best. I learned this the hard way. 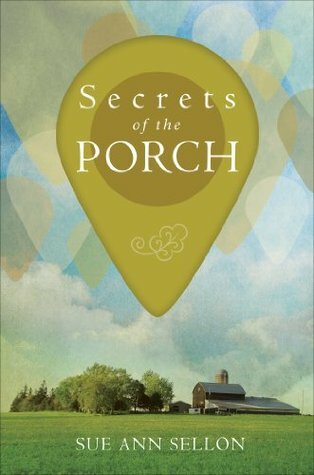 My second novel, Secrets of the Porch, was traditionally published and released in March of 2014. After four signings, I realized that times have changed. My first local book signing was well received – by family and friends. The next three signings were a flop! I sat at a little table in the bookstore by the front door as people smiled and passed me by. Fortunately, I knew it had nothing to do with the quality of my writing. I’ll say it again…Times Have Changed! SOCIAL MEDIA!!! BLOGGERS!!! TWITTER FOLLOWERS!!! FACEBOOK!!! BLOG TOURS!!! INTERVIEWS!!! GUEST POSTS!!! OH MY!!!! You may have a New York Times Best Seller in your hands. Together, I want us to go on a journey of SUCCESS! In my blog we will talk about our successes and our failures. I want us to share with each other what we’re going through, step-by-step, on this journey. We can share marketing strategies that have worked for us, and those that didn’t. I want to hear from you! In my November 2014 Blog Post I compared the creation of a novel to that of a pregnancy. There are pains and joys from both. I realized after reading my post that it seemed a little too depressing, when actually, the process of publishing is very exciting and rewarding. Join me monthly as we share our experiences together and become friends along the way! It’s amaaazzzzzing! You’re ready to jump with joy! For the last year you have calloused the tips of your fingers on the keyboard. Breathing every word you write in and out; chewing them like candy and spitting them on the page. You have re-read and re-read, edited and edited, until your book makes you sick. It’s much like a pregnancy. You begin with this beautiful end in sight. You fall in love with your characters as you begin to create them, one finger stroke at a time. Changing as they grow, suddenly they have taken on lives of their own. Although you can’t see them, you know them, eventually falling in love with them; they are more familiar to you than yourself. You are consumed. The end is near. Your masterpiece is finally complete. You have given birth to your creation…a novel (referred to in this blog as “baby”). Ahhhhh, it is finished! The hard work is over. But wait! Don’t get excited just yet. Your new baby isn’t going to be easy. Ya Ya…You’ve heard all those sweet stories about the first time you lay eyes on your baby. “It will be love at first sight,” they say. Well, maybe for you, but there will be others quietly whispering to one another behind your back. “That’s an ugly cover,” they say repulsively. But it doesn’t matter. You know this baby inside and out and you love it anyway. Everyone will love it as much as I do, you think to yourself. Let’s just stop here for a reality check! Lesson #1 – NO, not everyone will love it as much as you do. As a matter of fact, some might even reject it. I know, I know, it’s a hard reality. But, it’s a fact! Although you love your baby, you’re willing to admit it needs some polishing, a little fine tuning to become the best it can be. You have read the horror stories. Warning signs listed by bloggers everywhere. CAUTION: Do not send your baby into the world without professional editing! You want the best editing money can buy. You won’t settle for less. So, we drain the savings account a few thousand dollars and our baby is fine tuned. Lesson #2 – Babies are not cheap! You’re ready! It’s time to introduce your baby to the world. You knew at some point you would have to let go. Your baby is all grown up. Fearing rejection, you hesitate. Maybe I should just keep it as my own, you think to yourself. Eventually, overriding your fear, you bundle your baby nicely along with a “Query Letter”, a $3.65 postage fee and send it to agents and publishers from coast to coast. Let’s stop again for another lesson. Lesson #3 – Be prepared to spend several more thousands of dollars for seminars on “How to Write a Query Letter.” The “Query Letter” is the first and most important step in finding love for your baby. If you don’t do this right, you are inviting immediate rejection. You must be creative in your “Query Letter.” You have two to three paragraphs to catch a potential lover’s attention. This is your baby’s first impression. If you receive an incredible piece of chocolate wrapped in a trash bag you’re probably not going to eat it. Right? Get the idea? You must send your baby out into the world prepared, polished and refined. Remember Lesson #2 – Babies are not cheap! You have done everything you could to prepare your baby for this journey; it may not and usually does not turn out the way you expect it. The journey is full of letdowns, heartaches, rejections, disappointments and there may be times you secretly wish you hadn’t sent it out at all. Daily trips to the mailbox are filled with postcards and letters of rejection. Your baby is floating around out there and no one wants it. Lesson # 5 – Be prepared for rejection. Also, be prepared to take out a loan for therapy. Thank you, but we’re not looking for this genre. Several months go by and our baby is still seeking love. Lesson #1 is a BIG lesson to learn. We can’t take it anymore. Our patience has wore thin and we cannot fathom one more rejection letter. We bring baby home. DO NOT GET DISCOURAGED! Our options however have not run dry. There are hundreds of websites who promise your baby love for a little over five grand. They are called “self-publishers.” However, I would refer to them as prostitutes. We pay a hell of a lot of money to find love through them for our baby with only momentary satisfaction. Self-publishing isn’t all that bad…they put your babies picture on hundreds of websites for people to see in hopes of finding love for your baby. However, there is one big issue with this. Your baby’s picture is a needle in the haystack, buried among millions of other baby pictures. Fact #1 Getting published isn’t going to be easy. It takes perseverance. Fact #2 Expecting to get an agent with your first novel is like taking a crap in your backyard and hoping they smell it in New York. Fact #3 You will spend money you don’t have. Hook up with a rich relative that you haven’t seen for a while. Fact #4 If you cry every time you get a rejection letter, you should probably go to Sam’s Club and stock up on Kleenex. You can buy them in bulk at a very reasonable price. Fact #5 Even the ugliest babies grow up and get married. Your baby is awesome and it will find someone to love it! SOUND DEPRESSING? It really isn’t! Watch for my December 2014 Blog as I continue to share the realities of publishing and how to find your baby the love it deserves! You won’t want to miss this one!